After graduating from Saint Agnes High School, Javaris played for two years as a captain at Western Technical College in La Crosse, WI. In 2013, he was DIII Junior College All-Region XIII Player and led his team in scoring. 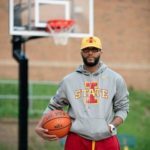 Javaris went on to play basketball at AIB College of Business, and at Simpson College, where he majored in Sports Administration.